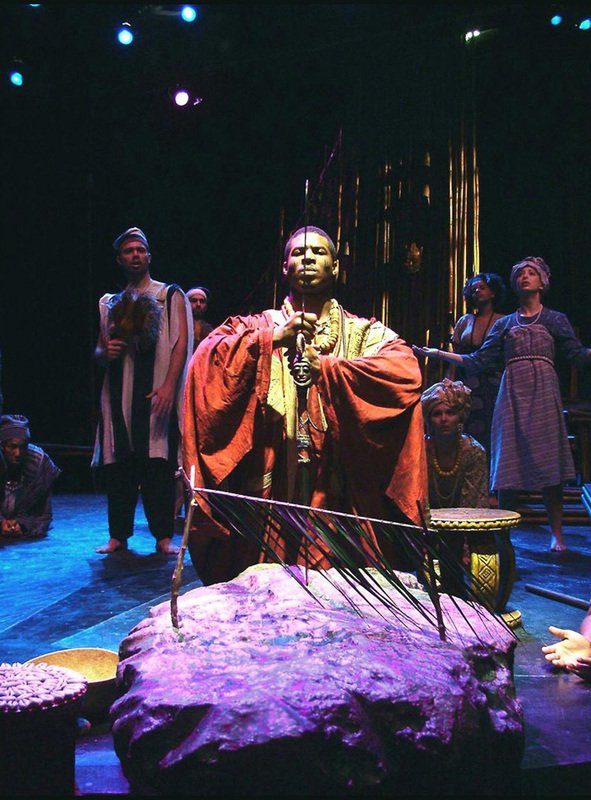 This adaptation of Oedipus Rex was written by a Nigerian playwright. 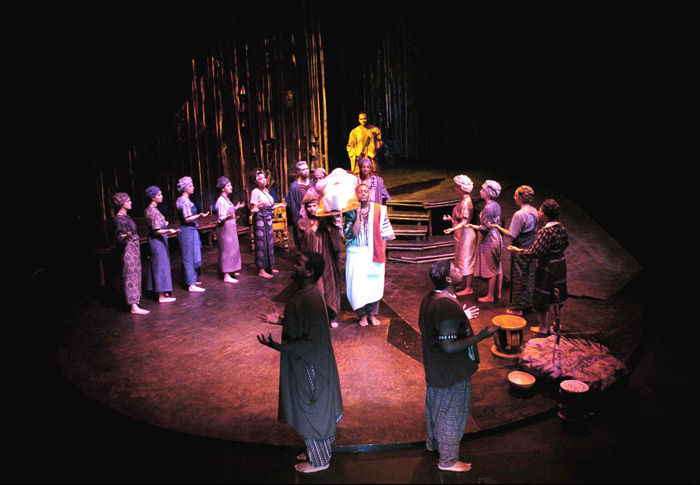 He wrote the play in order to inspire his countrymen to action in their war-torn state. The play states that destiny is not left to the will of the gods, but to the actions of mankind. I researched the Yoruba people in Nigeria to understand their visual vocabulary and symbols. The unit set served as several places in the story, both public and private. The floor is a broken circle to reflect the broken community. In the details of the props and of the scenic decor, I incorporated replicas of Yoruba artwork. 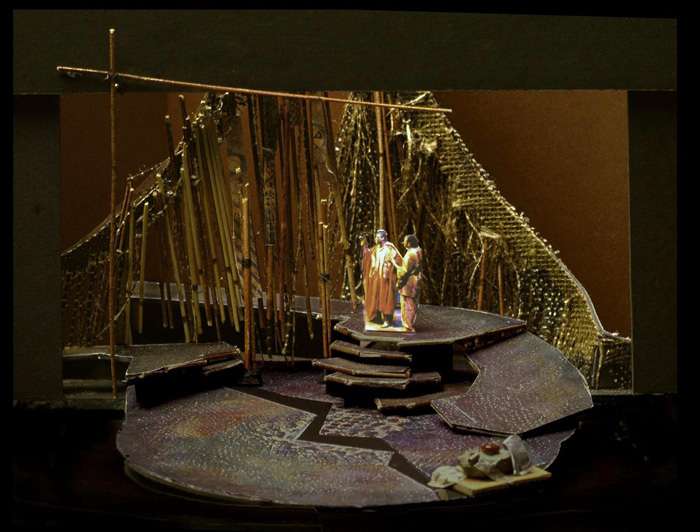 This design is listed in the Digital Catalog of World Stage Design 2005. 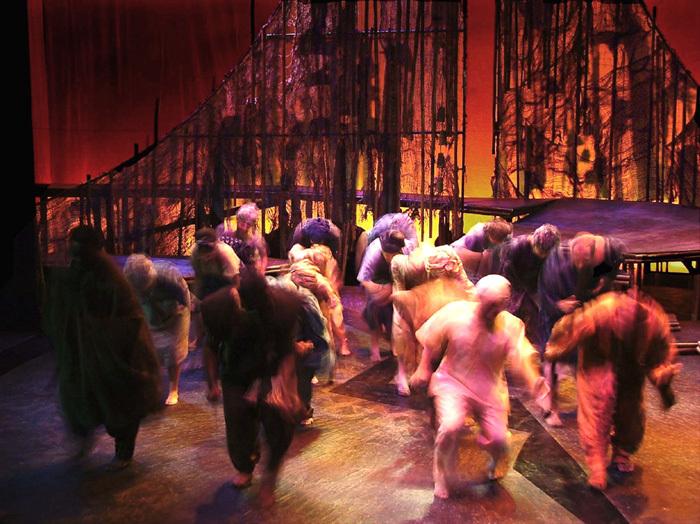 This production was featured in the Summer 2005 issue of USITT's TD&T Magazine.